The thing about blogs is that they tend to become neglected. It may have been a while since our last update, but we are going to do our best not to let that happen. So, where have we been? The answer is we have been very, very busy lately. Now with the holidays quickly arriving, things are more hectic than ever. December has been a full and exciting month for us. We were booked for 20 of the 31 days this month and for that we would like to thank all of our wonderful clients for your business and support. On top of that, we also had a big move which we managed to squeeze in between shoots, meetings, and getting images out to clients. With that said, we would like to take a moment to share what we’ve been doing with you. Here’s an image from one of our latest engagement shoots at the Neon Museum Boneyard. David & Sara, thanks for being such a thrill to work with! We wish everyone a safe and fun holiday. 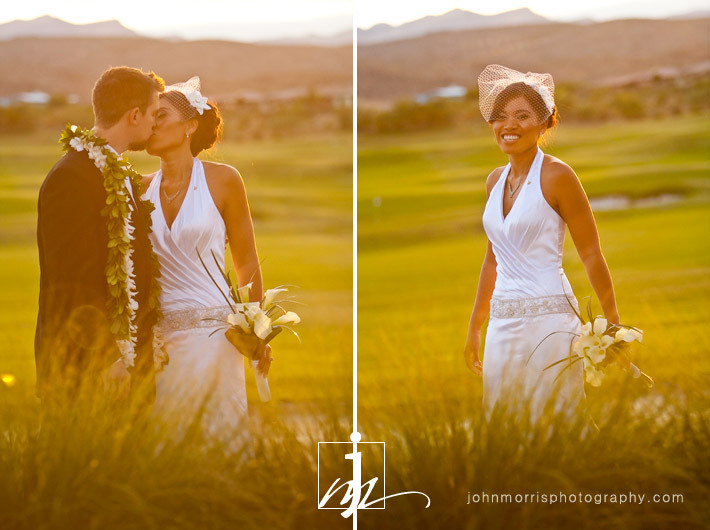 Last month I had the honor of photographing Alan and Tina’s wedding at Bear’s Best Golf Course in Las Vegas. They were a joy to shoot because not only are they a gorgeous couple, they hosted an incredible event that showed off their individual style. The wedding was a modernized take on traditional weddings with an Island flair. Alan and his groomsmen wore matching green Converse sneakers and floral leis around their necks. As per tradition, the bride changed into a beautiful second outfit later in the evening. It’s always fun when couples add personal touches to make their wedding unique. 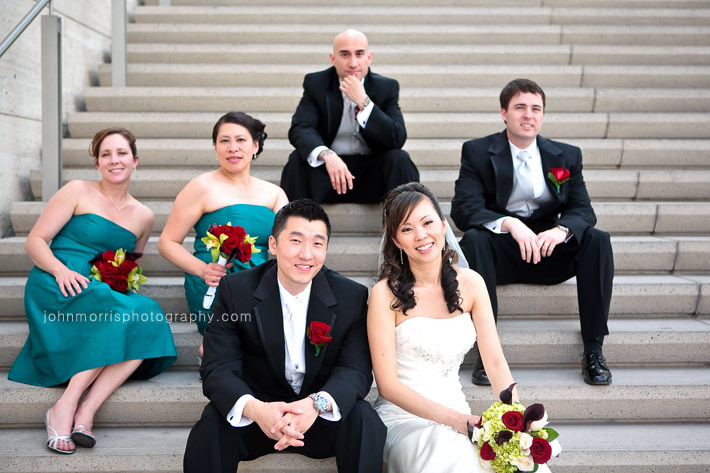 It definitely makes the wedding more interesting to shoot because each detail has a sentiment behind it. During the reception, there was an amazing show of fire performers and Island dancers. To finish it all off, their family and friends lined up to set them off with a shower of sparkling lights. It was just the right ending to a wonderful night. I have been meaning to post these images from Sean and Madeline’s wedding not too long ago. They were a fantastic couple to work with and they have a great sense of style. Madeline’s unique dress fit well with the setting at the Tournament Players Club (TPC at Summerlin). 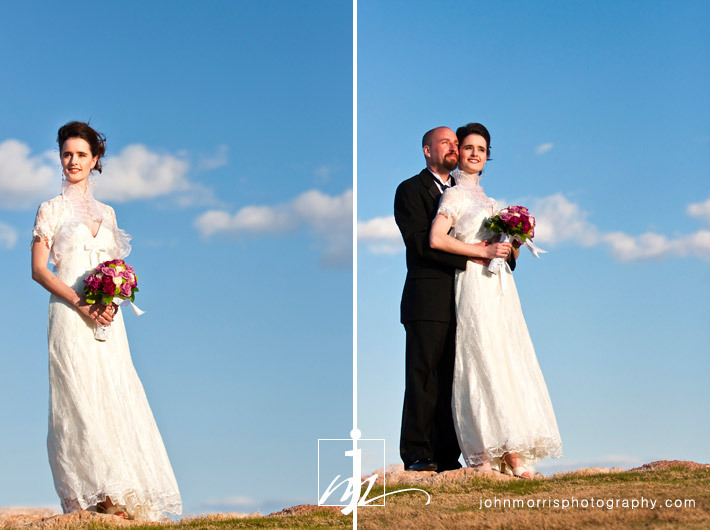 The location was beautiful and it was a perfect day with just a few clouds in the sky. The couple had great chemistry and were quite natural in front of the camera. I had no trouble getting tons of great shots of these two. 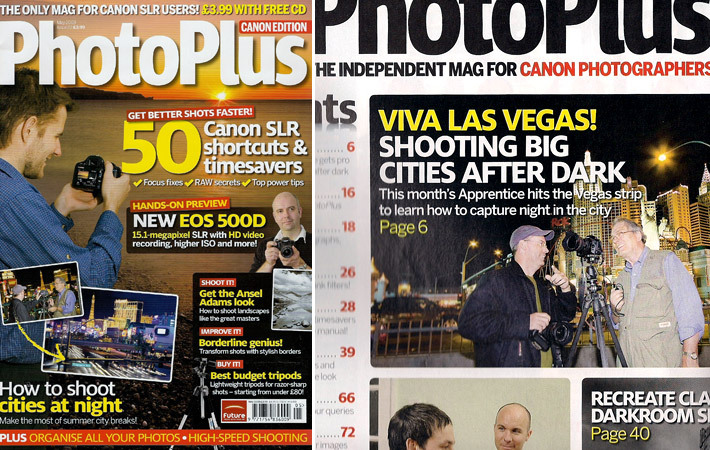 Several months ago, PhotoPlus Magazine contacted me to be the featured photographer in an article for their May 2009 issue. 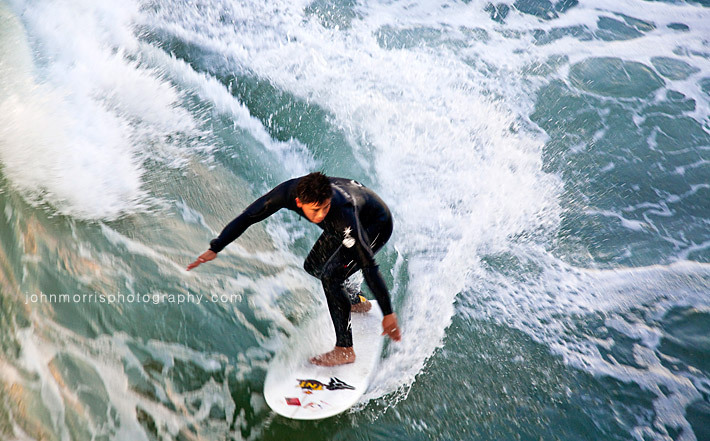 The section, called “The PhotoPlus Apprentice”, connects a professional photographer with a photo enthusiast who hopes to gain some insight in an area of specialized photography. I was the pro, and my apprentice was Gordon Holyoak, a semi-retired dentist from Arizona. The assignment was to capture city lights at night, so we headed to the Las Vegas strip where I spent a few hours teaching him the basics of nighttime photography. While the British editors from PhotoPlus Magazine documented the evening, I focused on teaching and instructing my “apprentice” about how to better use his equipment, the effects of shutter speed, and advanced composition for nighttime photography. Over the course of just a few hours, I was able to assist Gordon with improving on some of his old techniques and to his credit, he was a very quick learner. It is great knowing that he was able to leave the shoot with some newly acquired knowledge that will hopefully allow him to take his photography to the next level. Overall, the shoot went great and afterwards we decided to reward ourselves with something special for all the hard work. Since the guys from PhotoPlus were visiting the States for the first time, they were interested in trying something “American”, and what could be more American than an In-N-Out burger? These Brits from across the pond had never had a real American burger before, and their first encounter with the classic California style burger was “spot on”. There is something about squeezing into a small space and hamming it up for the camera that people seem to love. We recently set up our version of a photobooth for Jeff and Holly’s wedding at the Bali Hai Golf Club and everyone had a blast (see photos for proof). Besides the beautiful, amazingly down-to-earth couple and the gorgeous venue, there was a fun loving group of family and friends who kept us laughing the entire time. 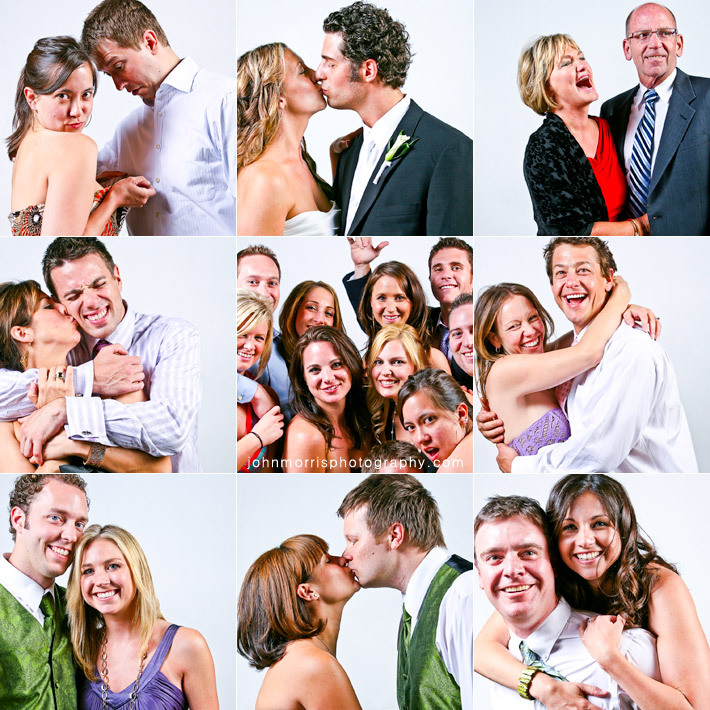 The photobooth was staffed with a photographer who interacted with the guests to create fun, quirky photos. What made it particularly unique was that we also printed 4×6′s on the spot. Holly and Jeff wanted to use the photos in a guest album, and with our onsite printing services we were able to print the photos in less than 15 seconds for guests to sign and place in the album as well as a copy to take home as a gift from the newlyweds. The whole setup took very little space and was obviously a big hit with the all the guests as even the bride’s grandparents got into the act with some fun and crazy images. Jeff and Holly, thanks for a great time and for being so easy to work with. Hope you two had fun in Paris. John. Kendall and Dayton called me in March wanting to do a fun, casual engagement session. After reviewing our calendars, we scheduled the shoot for the 12th of April at one of my favorite locations, MonteLago Village at Lake Las Vegas. It’s a great place for engagement sessions because of the breathtaking view and quiet, serene setting. However, upon arrival on April 12, the village was anything but peaceful. It seemed that the Easter bunny had just visited and over 400 kids along with their families were on a frenzied search for the eggs he had apparently laid all over the village. Not a single square inch of the property was unoccupied. Surprised and slightly disillusioned, we recouped to consider our options. 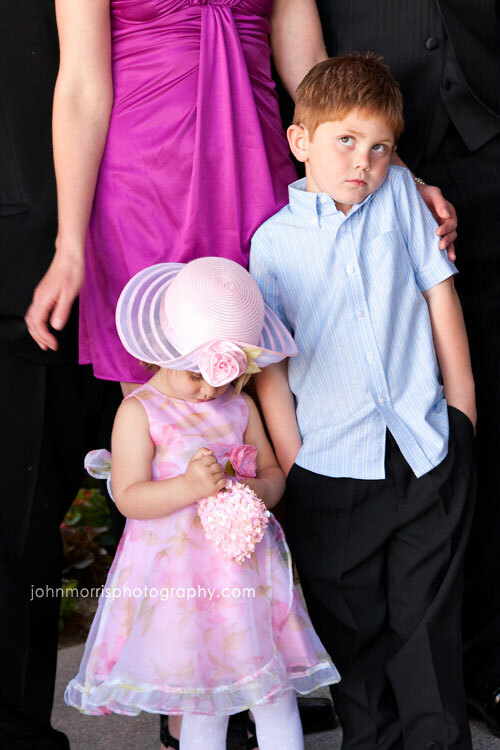 You would think we might have thought twice about picking Easter Sunday for an engagement session, but it has been a while since I’ve had to worry about Easter egg hunts now that my kids think they are too old for that kind of thing. Since we all liked the location we considered rescheduling for a later date. Another option was to change locations which I knew would be tricky since it was a particularly bright day. In the end, Kendall and Dayton were game for a location change. So we headed out to an old mining town about 30 minutes away. Well, as you can see, things worked out perfectly (with the help of a few old school lighting tricks). The rustic atmosphere led to some really nice, romantic images as well as some very cool, movie poster like stuff. On a side note, we saw lots of bunnies there too, but they didn’t seem to be laying eggs? Despite its Spring Break reputation, I found the town of Cabo San Lucas Mexico to still be a remarkably small and quaint Mexican fishing village ( that just happens to be a hot spot for timeshares and fisherman alike). 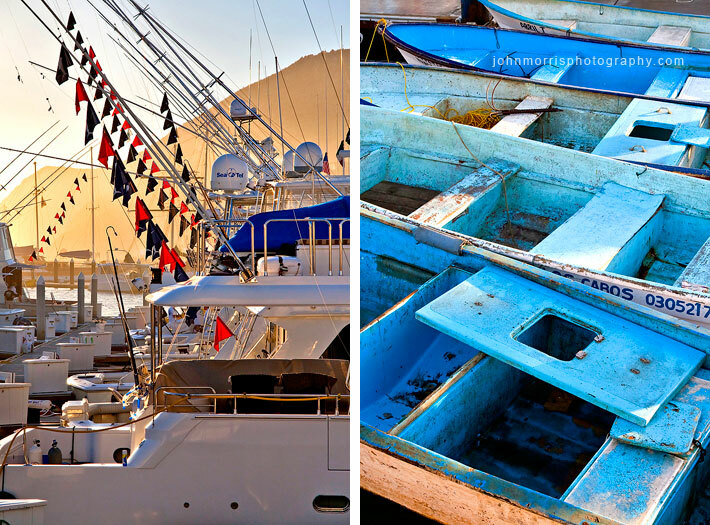 Cabo San Lucas became a well known fishing haven around the 1930′s, back when the population was roughly around 400 and the town was only accessible only by boat, plane, or anyone willing to travel 1000 miles of rutted dirt “roads” to get there. 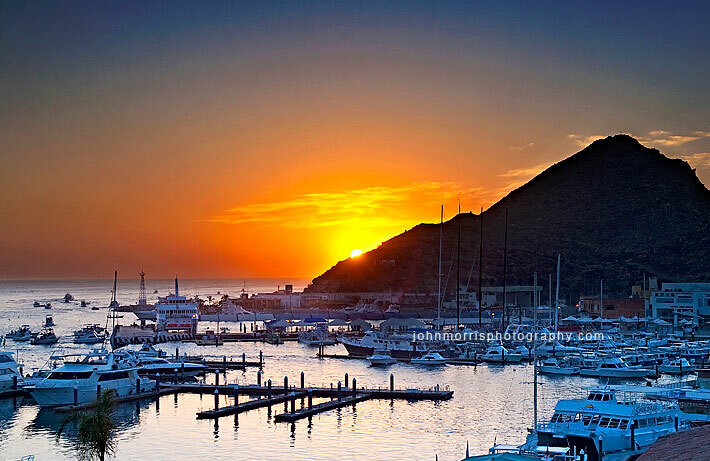 Only since the 1970′s has Cabo become a wildly popular tourist destination, after the Mexican government created the infrastructure to turn Cabo San Lucas into one of the most attractive centers for tourism in Mexico. Rather than staying at one of the many big, plush mega resorts or timeshare properties, we chose to stay at a small but friendly and elegant hotel in the Marina District. We were just on the edge of the actual town itself and enjoyed the local hospitality and restaurants that the locals frequent. 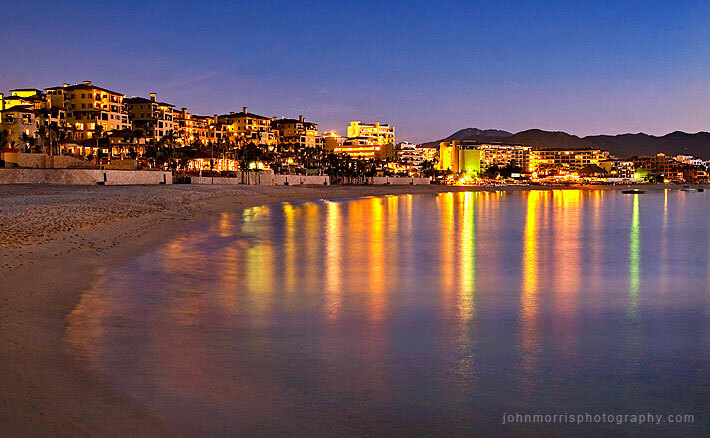 We also enjoyed a piece the nightlife that Cabo is well known for at Sammy Hagar’s famous Cabo Wabo club, El Squid Roe, and the lively Mango Deck beach club on Medano Beach. But the real charm in Los Cabos Mexico was driving down the one lane highway known as “The Corridor” to San Jose del Cabo, the quieter, artsy side of Cabo and meeting some of the friendliest people I have ever encountered. We also visited the very small town of Todo Santos and took a detour along the way to discover an awesome private beach with beautiful, calm waters. After the one week trip, I learned that seven days in Mexico is not long enough.